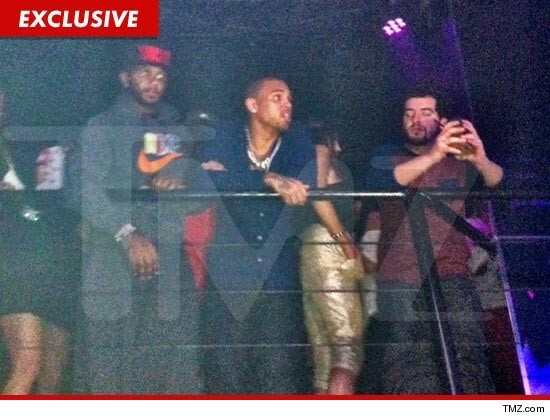 Chris Brown was spotted last night at Tier Nightclub in Orlando, FL ... where Lebron James, Carmelo Anthony, and Chris Paul hosted a party for NBA All-Star Weekend. The person who took the pic did so with an iPhone, which they still have in their possession. 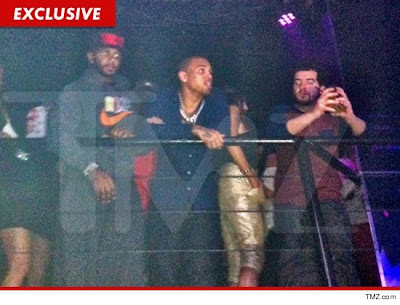 CB was accused earlier this week of snatching a girl's iPhone after she took a photo of him outside of a club in Miami. He is still on probation in Los Angeles for beating Rihanna in 2009.